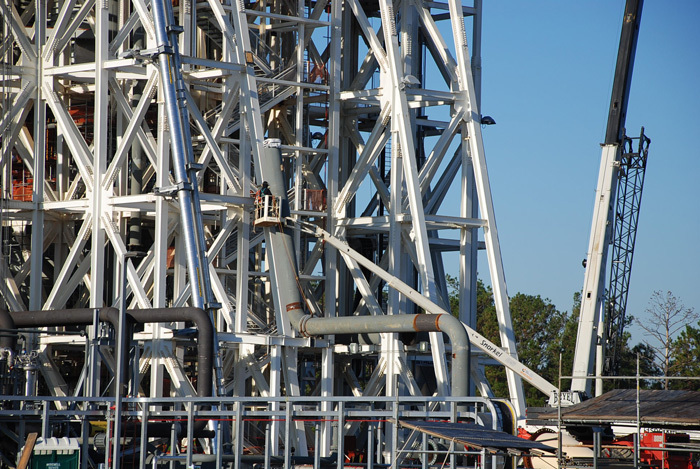 The next generation rocket engines will be tested on this new 300 foot tall NASA test facility developed to simulate altitudes of 100,000 feet during testing. 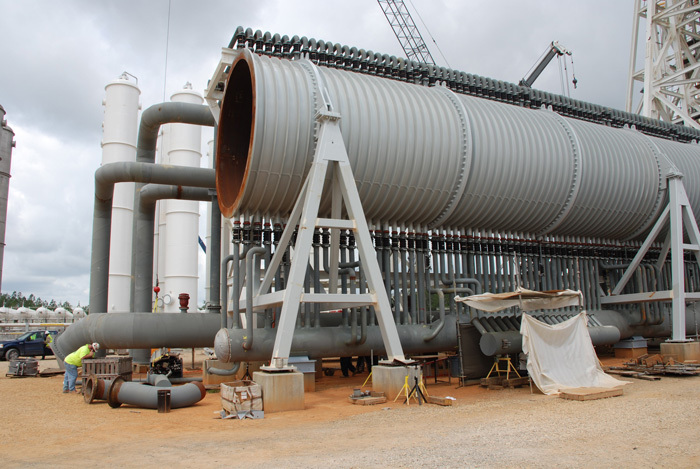 M & D is installing several miles of high pressure steam from the chemical steam boilers to the structure, cooling water from the site Industrial water system, and fire suppression piping for the facility. 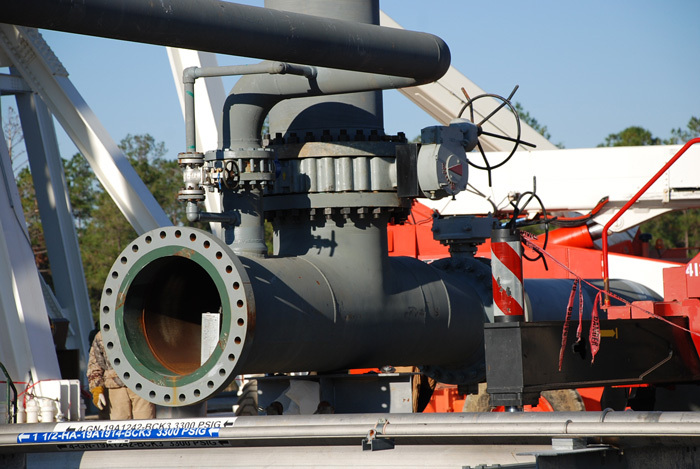 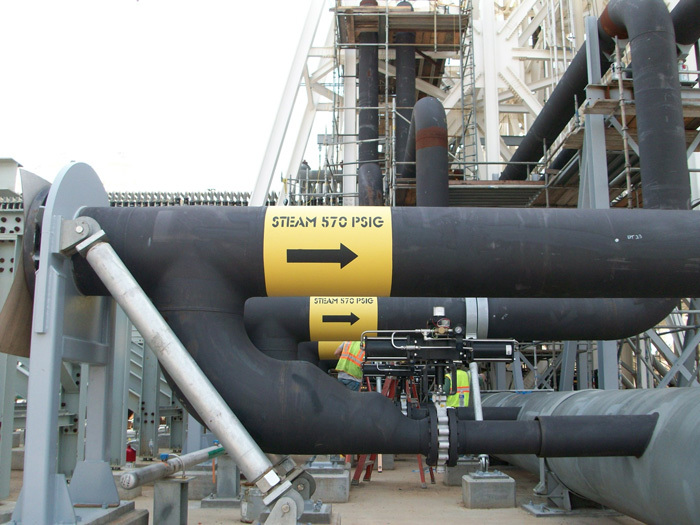 Piping sizes range from ½” to 66” diameters. 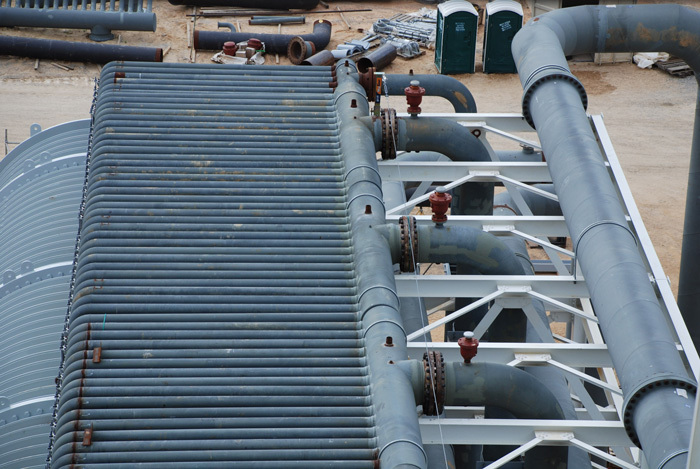 Also included in M & D scope of work is a 1000 HP jockey pump complete with building structure, electrical and controls to maintain pressure on the site industrial cooling water. 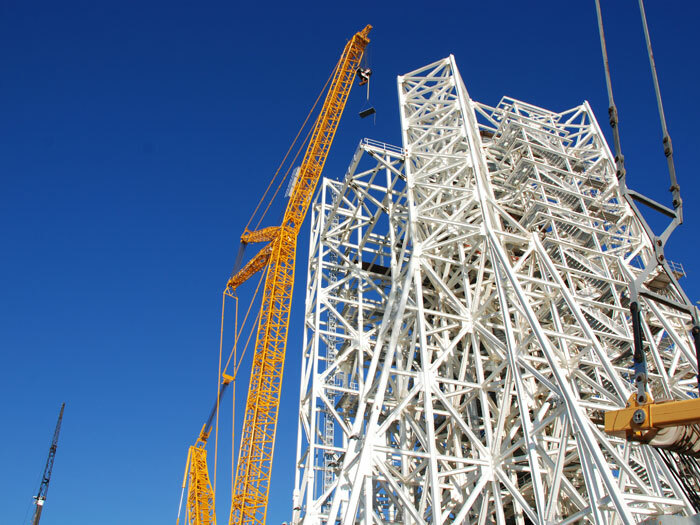 The project is scheduled to be complete in late 2012. 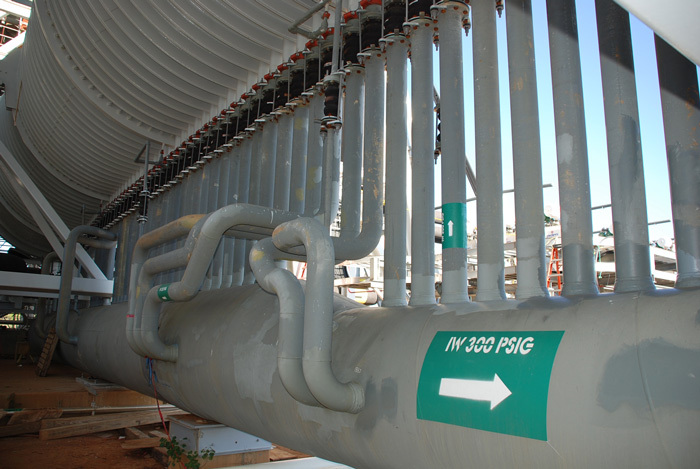 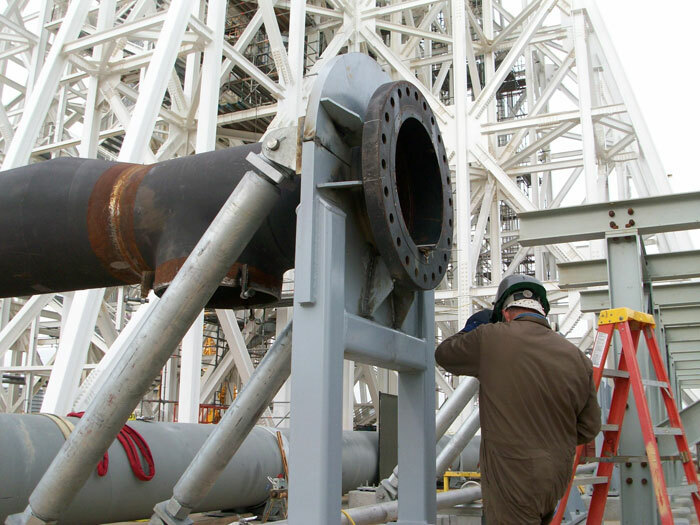 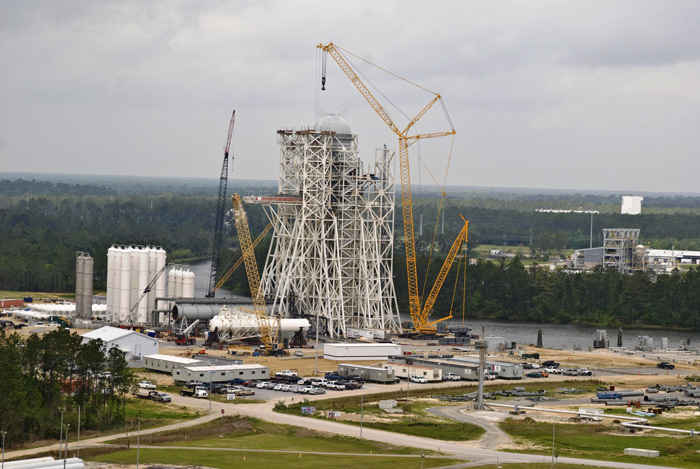 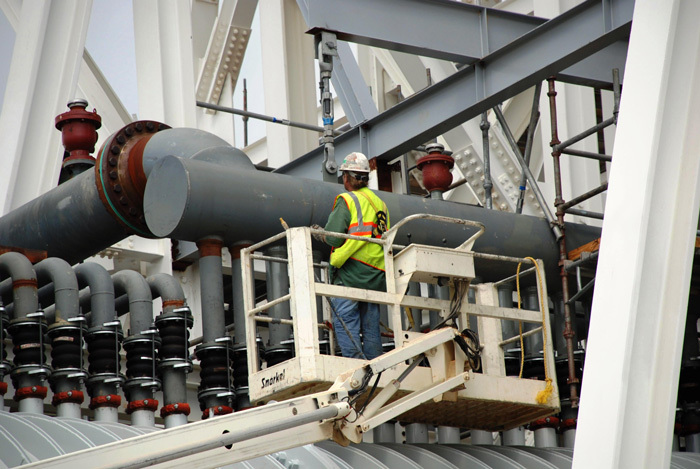 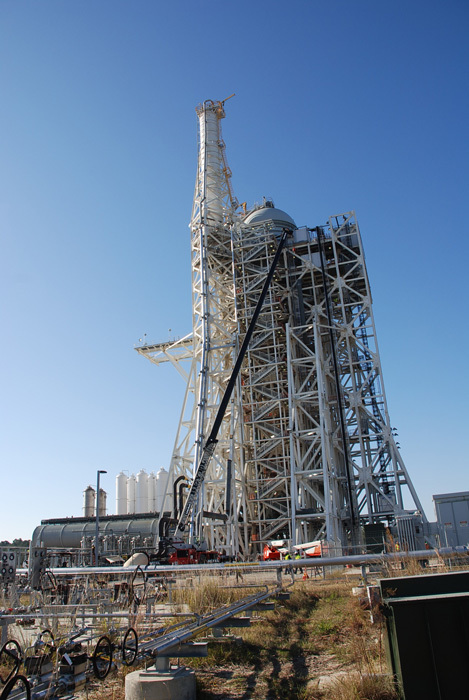 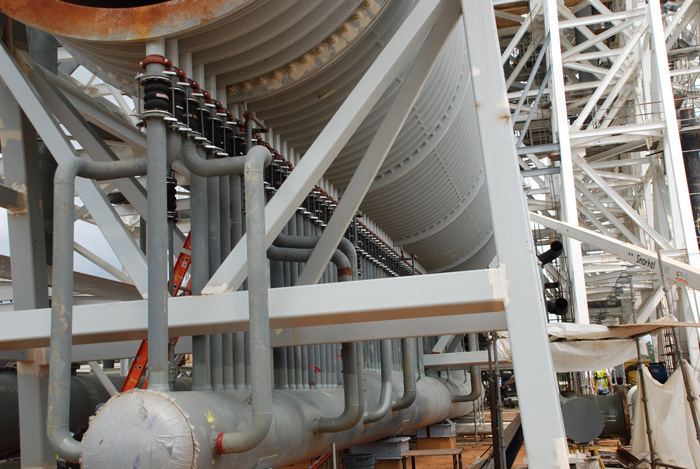 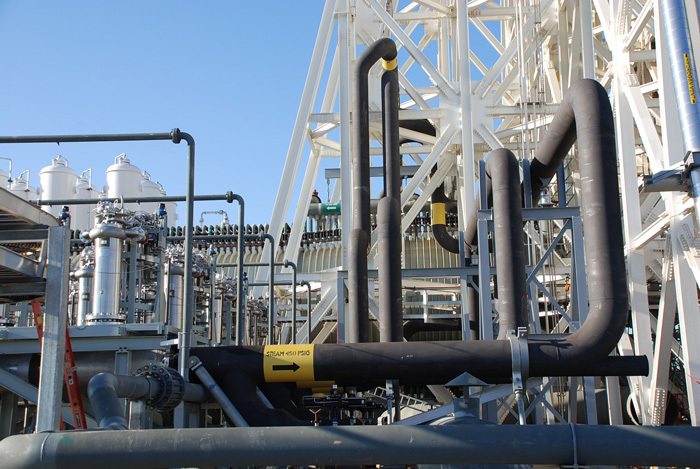 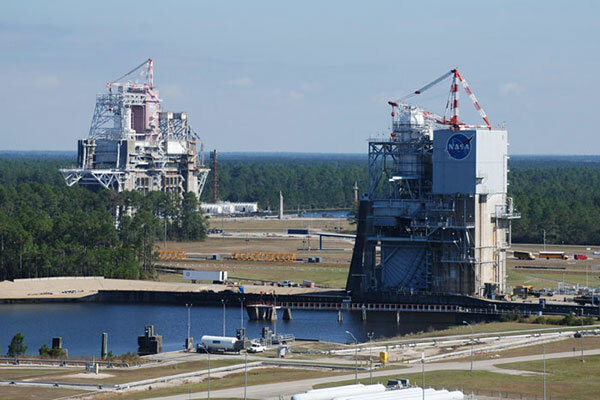 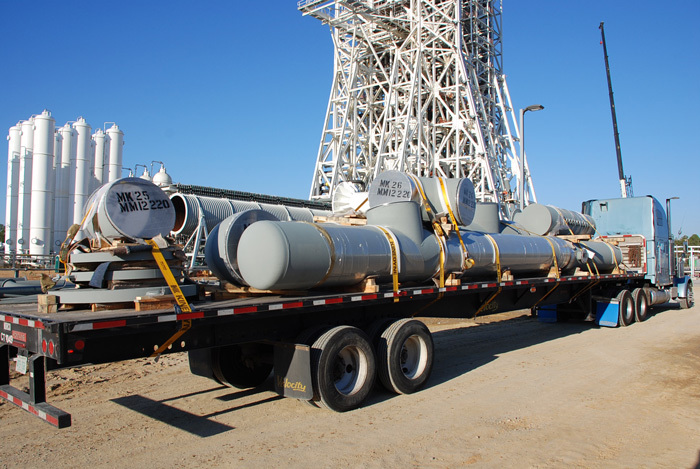 Project Update: M&D Mechanical Contractors was awarded its 5th task order with NASA at the Stennis Space Center in Mississippi on March 30, 2012. 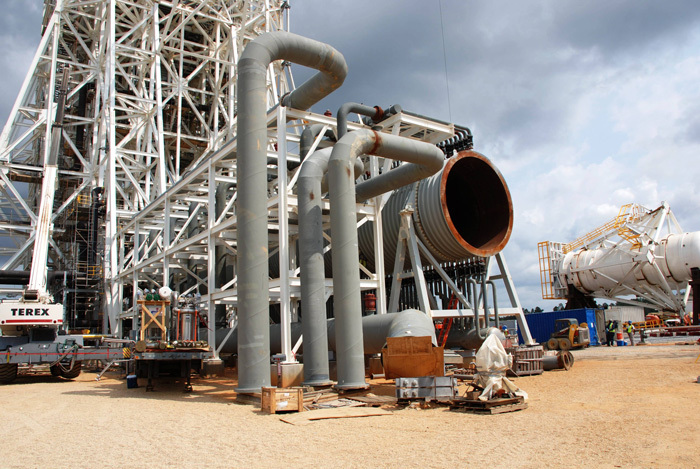 This $6.7 million dollar award is to complete the cooling water piping for the new A-3 Rocket Motor Test Stand that is scheduled to be completed and operational by 2014. 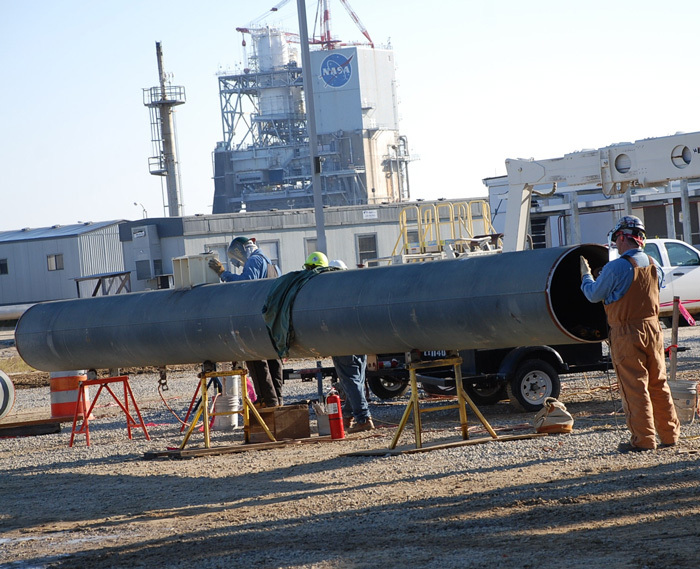 M&D has been working on site since April of 2010, installing cooling water, steam piping, and fire suppression for the test stand. 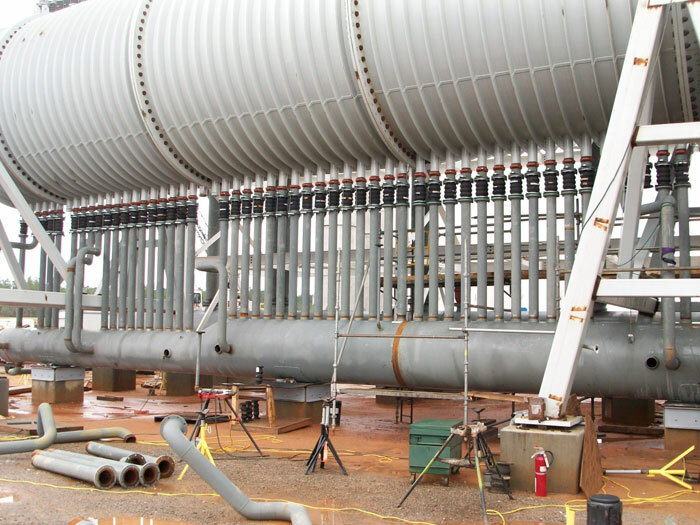 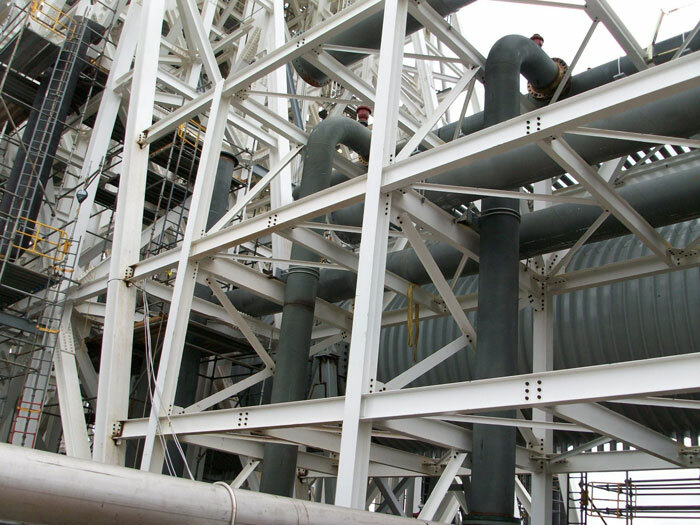 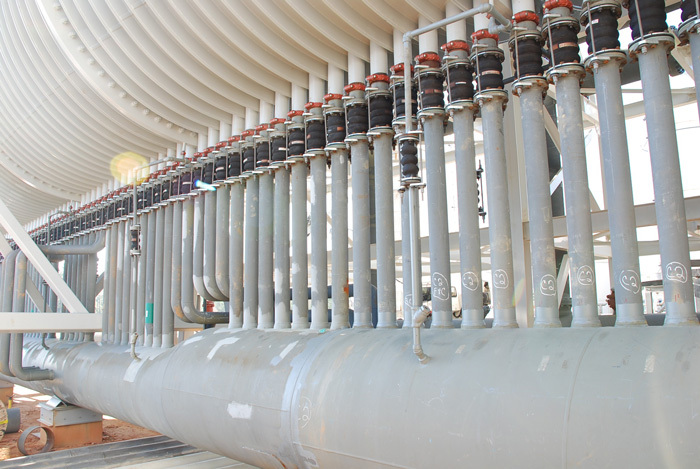 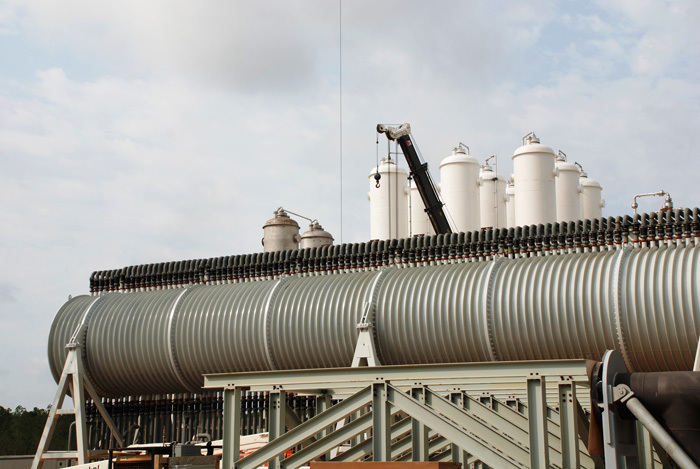 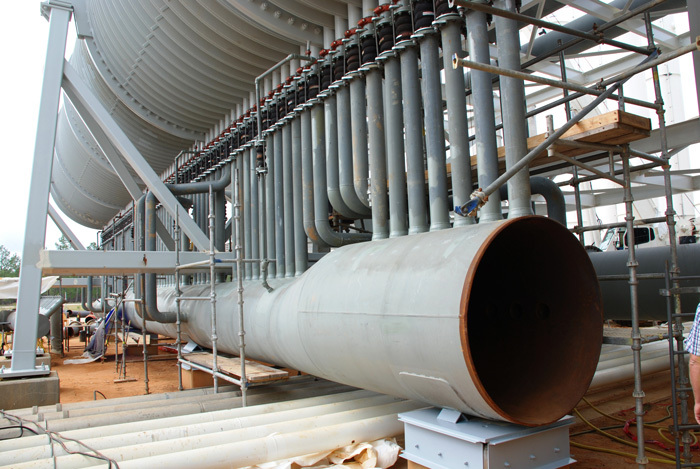 “The challenges of installing this much pipe in an open structure that is 300 feet tall has been overwhelming at times” states Joel Ellis, Project Manager. 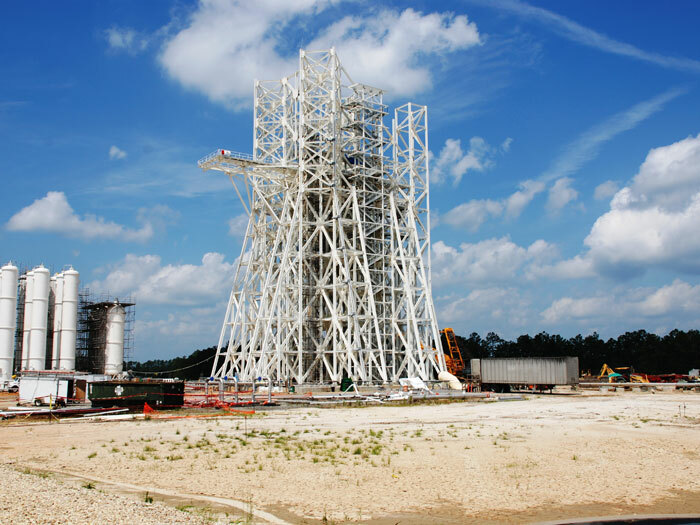 M&D is currently scheduled to complete its work on the new test stand by April 2013.